There was a comic book signing this Sunday afternoon at Comic Odyssey at FullyBooked, BGC for the twin release of Action Comics #961 and Deathstroke #1. Got my stuff signed and interviewed both artists for a story. Watch out for that. 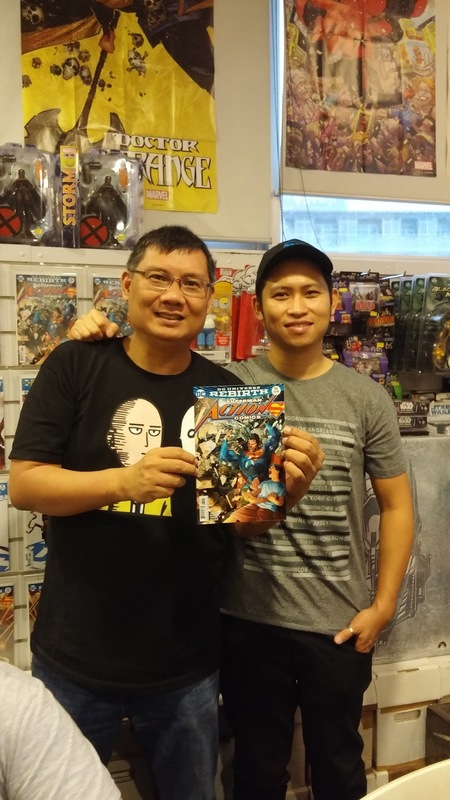 With Stephen Segovia who pencilled Action Comics #961. 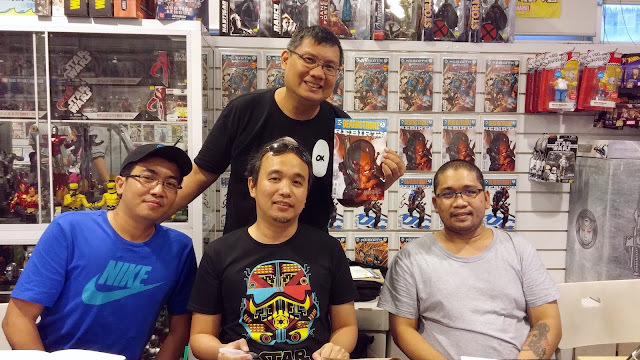 With Jason Paz and Carlo Pagulayan (L-R), inker and penciller for Deathstroke #1. Sweet Christmas! Luke Cage is roundabout here.